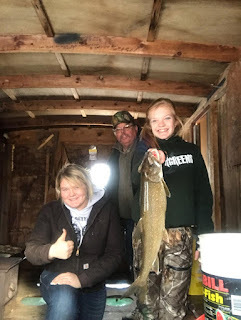 The trout bite is spotty to slow with a few shanties getting some really nice fish. The perch bite is the best that we have seen in years. We are catching a mix of medium to large fish, some over 12 inches. Cisco bite in very slow. 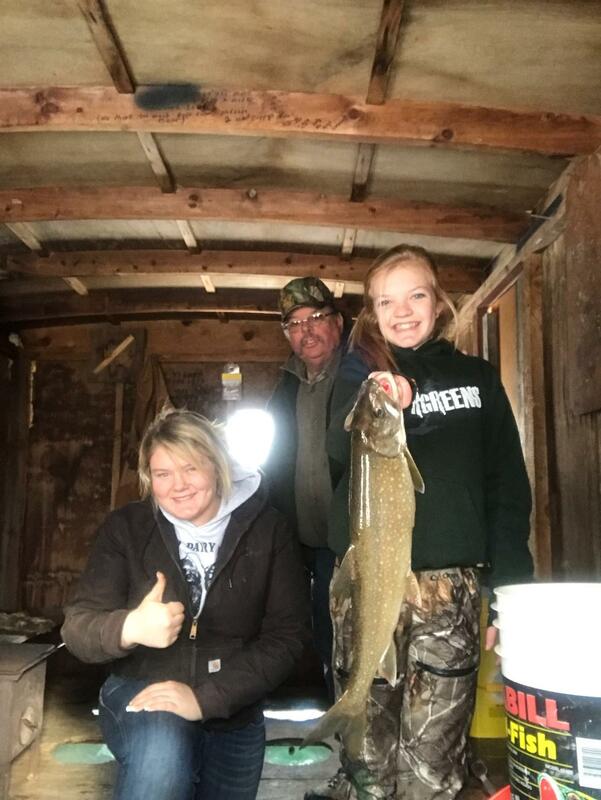 enjoying the day on the ice with a nice lake trout.